A Home HERS Index? is a numerical rating of a home's energy efficiency (similar to mpg for vehicles) based on the RESNET? Home Energy Rating System? energy efficiency scale. A home's HERS Index? is determined by a RESNET? Certified Rater using standardized procedures developed by RESNET? in collaboration with the U.S. Department of Energy, the U.S. EPA, and the American mortgage industry for inspecting, testing, and conducting computer analysis of the energy performance of homes. The HERS Index? of a home can be used to compare the energy efficiency of homes. The lower the HERS Index?, the more energy efficient the home. When comparing similar size homes, a home with a HERS Index? of 80 is 33%* more efficient than a home with a HERS Index? of 120 and would expect to spend 33% less for energy. The LOWER the HERS Index? 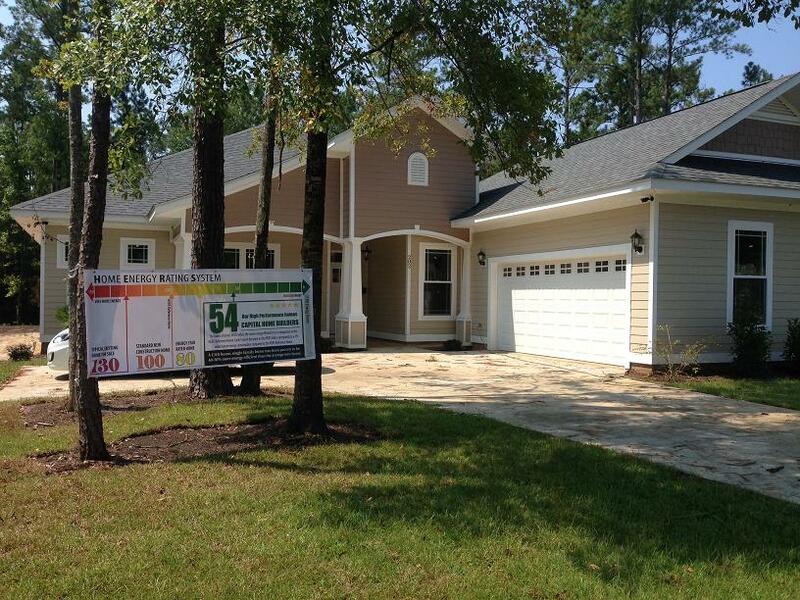 rating, the more energy efficient a home is, meaning lower energy costs. And, as a new High Performance Homeowner, you'll receive an official certificate that verifies your new home's HERS?Rating! A big list of features may look good, but will they ACTUALLY SAVE YOU MONEY? Don't get lost in the hype?check the HERS Index? first to see how efficient the home really is. Don't put your faith in a list of "efficiency features" without knowing how much you could really end up paying! HERS RATED Certification in Thomasville, GA. The Acadia - Coming Soon! The most popular subdivision in Thomasville, GA. SHADOWBROOK FARMS. Off hwy 319 and Five miles from town, 35 miles Tallahassee, FL. Equal Housing Opportunity 2005 ? Eco House Plans, Inc. Disclaimer: All prices are subject to change without notice.